CANEGROWERS board member Dean Cayley has stressed the severity behind what El Nino could mean for the region's economy, agriculture and unemployment. Mr Cayley told the NewsMail the 70 per cent chance of an El Nino event this summer meant the Bundaberg community would be impacted across the board. "Speaking from a sugar cane growing point of view, we're going to be irrigating more than we'd like to," Mr Cayley said. "It's going to have a dramatic effect on our bottom line." The owner of Cayley Farms in Alloway said current sugar prices, which were already below production prices due to the subsidised sugar India had been putting on the market, could worsen even more should an El Nino occur. "It'll hurt the Australian growers because we have to spend more money to grow the crop," Mr Cayley said. 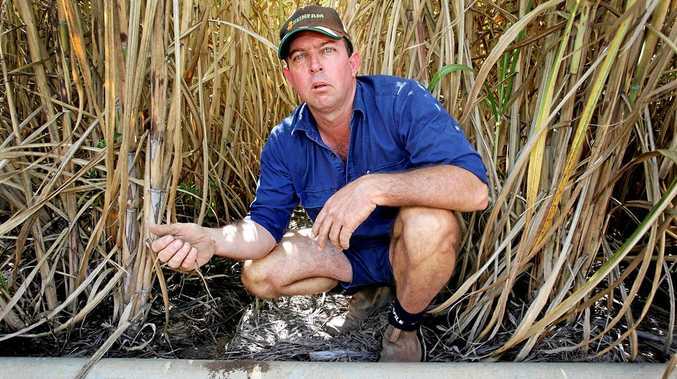 "We may have to buy extra water, plus the high price of electricity ... it all amounts to some growers possibly choosing not to irrigate their cane and make the crop fend for itself." The drop in production would result in less cane to put through the region's sugar mills and shorten the length of the crushing season, reducing employment opportunities. "It all has a flow on effect. Growers won't be making as much money so they won't be buying new machinery," Mr Cayley said. "They also won't spend money getting stuff fixed in town and instead will work on doing it themselves." Not only could an El Nino impact the region's economy, unemployment and production, the types of crops farmers choose to grow would diversify as the weather changes as well. "If they have to pay for more electricity and water, they're going to choose another crop like soya beans, peanuts or sweet potatoes," Mr Cayley said. "Some growers will make that choice now and plough more cane out than they typically would've to grow other crops and to try an generate more income."